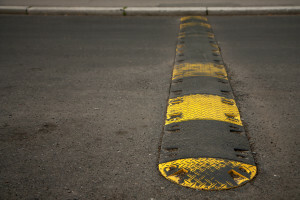 IEX Exchange Application: Is Level Playing Field Possible with Speed Bump? IEX’s application to the US SEC to become a fully fledged stock exchange continues to make headlines in what has become an increasingly vociferous dispute among exchange operators. But behind the bluster, what are the ramifications of the SEC’s decision for investors and market integrity? The central feature of the IEX platform is of course its well-publicized “speed bump” that introduces a delay of 350 microseconds between order submission and execution. While that may seem trivial to casual observers, consider that most exchanges today operate with typical latencies of under 200 microseconds (and sometimes much lower). As such, the IEX delay is a significant differentiating feature and mitigates so-called “latency arbitrage” trading strategies in which fast or high-frequency traders (HFTs) profit from trading against stale quotations. Buy-side traders and institutional investors often complain that these trading strategies are unfair or increase transaction costs. If the aforementioned speed bump is a solution to these concerns, investors will vote with their feet and trade volumes will migrate accordingly. Indeed, IEX’s market share has grown from approximately 0.1% from its launch in October 2013 to approximately 1.64% in October 2015. However, IEX currently operates as an ATS (Alternative Trading System), meaning that, among other things, it does not have to display the prices and sizes of orders (pre-trade transparency) prior to execution and may restrict access to its system. To become a registered stock exchange, IEX will have to display its prices in the consolidated quotation data and provide for fair and open access. The principles of transparent, nondiscretionary, and nondiscriminatory trade execution provide the necessary conditions for a level playing field between exchange venues, and it is these principles that should matter most in the ultimate consideration of IEX as an exchange. Provided that these conditions are satisfied, the speed bump or any other differentiating features should be somewhat irrelevant. The most common trading model currently operated by exchanges is the continuous-auction model (which provides continuous, real-time trade execution as opposed to, say, trading in fixed time intervals). In a continuous auction, trading is based on price-time priority rules (i.e., the highest-priced bids and lowest-priced offers are first in the order queue, while same-priced orders are prioritised according to the time of submission into the order book). This model rewards speed: the fastest traders can best manage their limit orders to be at the top of the order queue or avoid being picked off when prices move in real time (an issue known as adverse selection, also covered in a CFA Institute report). Yet the continuous auction is not the sole operating model deployed by exchanges; indeed, the NYSE itself operates an opening and closing call auction mechanism to establish a clearing price for stocks (i.e., an equilibrium price that maximises the tradable quantity), while others have touted the benefits of periodic batch auctions (allowing trading to occur only at discrete time intervals) throughout the day. Moreover, the concept of slowing down trading is not necessarily new or unique to the IEX platform. For example, and in a related context, Professor Larry Harris, CFA, writing in the Financial Analysts Journal, argues that a small, randomized delay can help to eliminate the costly HFT arms race, whilst still allowing markets and investors to benefit from the sharp reductions in trading costs electronic markets and automated trading strategies have brought. In short, plenty recognize that speed-based trading is not always, and everywhere, the most effective market model. The challenge facing IEX is simply for investors and regulators to accept a continuous auction, fixed-delay market model and for it to fit comfortably within the market structure ecosystem so that investors can trade fairly and seamlessly across exchange platforms. Ultimately, innovation in market design and diversity of business models that cater to different investor needs must be beneficial. Regulators should not favour one business model over another; it should be the job of the market to decide which model works best and satisfies investors’ needs. Provided all venues operate according to the same principles of transparency and fairness, venue competition should ensure efficient outcomes for investors.